Army Chief of Staff Gen. George Marshall had been aware as early as July 1941 that most troops, having grown up in regions with strong isolationist beliefs, didn’t understand the United States’ foreign policy regarding the Axis. With the country still neutral, there was nothing that Marshall could do to inform them why America was preparing for war. But when the Japanese attacked Pearl Harbor on Dec. 7, 1941, Marshall wasted no time in acting. Though the U.S. Army Signal Corps was good at making training films, he knew the branch did not have the skills necessary to explain to men so recently removed from the civilian world what the war was about – and why Americans had to fight it. When movie director Frank Capra, a naturalized American from Sicily whose credits included It Happened One Night and Mr. Smith Goes to Washington, enlisted, Marshall had Capra commissioned a major and assigned to his office, reporting directly to the chief of staff himself. Capra had barely settled in when he was called into Marshall’s office. 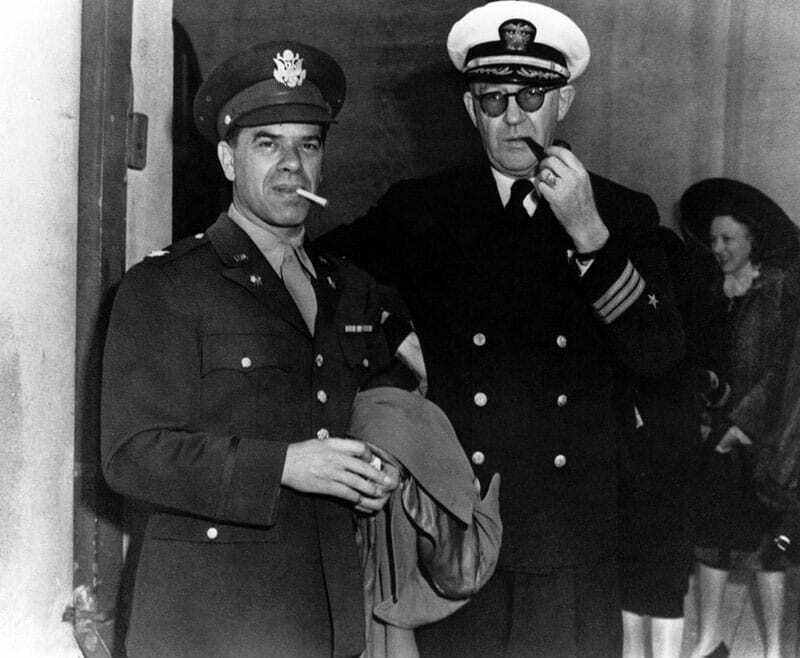 In his autobiography, The Name Above the Title, Capra recalled Marshall telling him that he had “an opportunity to contribute enormously” to America and the cause of freedom. Marshall explained that soon they would have a citizen army more than eight million strong that would be pitted against professional armies with experience in battle and proud of their victories. Marshall told him that the high commands of the Axis powers believed American soldiers to be “too soft . . . too pleasure-loving, too undisciplined” to defeat their armies. To learn what he needed to do, he decided to go to the experts – the Nazis. He studied the combat and Nazi Party newsreels issued by Reich Minister Josef Goebbels’ Propaganda Ministry. But the film that impressed him most was Leni Riefenstahl’s Triumph of the Will, about the 1934 Nazi Party rally at Nuremberg. He found it “lethal.” Then it dawned on Capra that everything he needed had been done for him by the Axis. In a brilliant move, Capra decided to use the enemy’s own propaganda films as weapons against them. 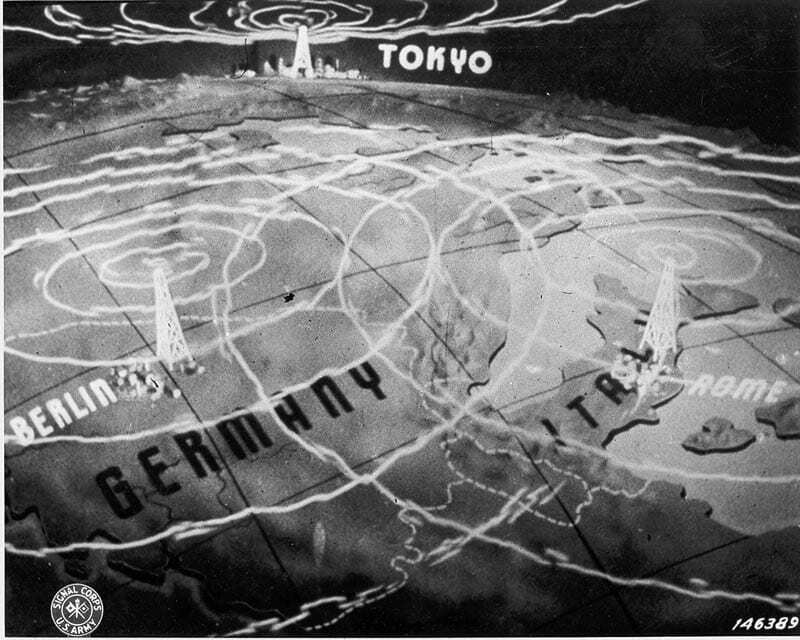 Marshall screened Prelude to War in October 1942 and promptly ordered copies made and distributed to bases everywhere. 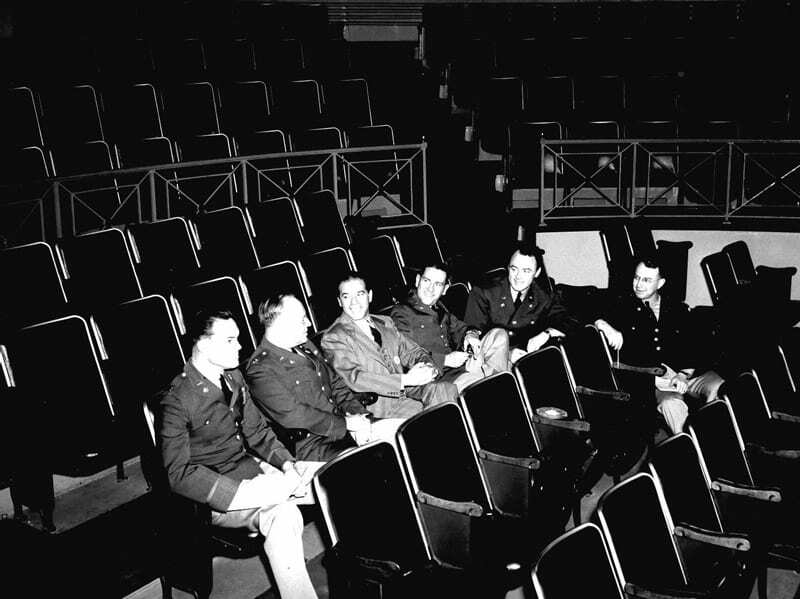 More than 85 percent of the troops saw the series, which was later released to civilian audiences and overseas. Capra, who later rose to the rank of colonel, was awarded the Distinguished Service Cross for his work. He also received an Academy Award in 1943 for Prelude to War, which in order to conserve metal during the war, was a plaque and not the familiar Oscar statue. Shortly after the war’s conclusion he received a statue.